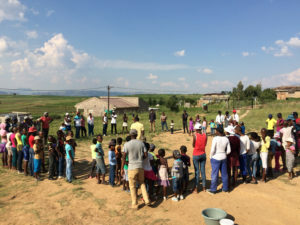 In early December a team of ten youth leaders and LXP Staff went to the mountain village of Ha Makopela for our fourth annual outreach to the community there. It was such a blessing to be joyfully welcomed once again and the team was able to pick up right where they left off from previous trips, especially with the young people. It is wonderful to return to a place we have been before because the foundation has been laid and people are expectant to receive what God has for them because of the way they have encountered Him in the past. We are honored to be called to continue serving and loving the people of Ha Makopela as God continues to fulfill His plans in their lives. 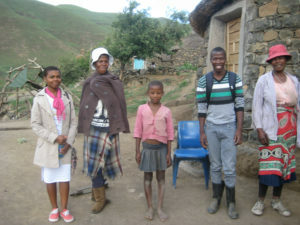 For more pictures and a full report of the outreach please visit our website www.lxplesotho.com. We wrapped up the 2016 ministry year with our annual Christmas Party. The big red tent was pitched at the LXP Base and the day started out with gorgeous sun and excited kids. It is always a special event as our entire community is invited to hear testimonies of how God worked through the year and to celebrate his greatest gift, His Son Jesus. Our kids and youth share songs, dramas, dances, a comedy “news report,” and poems to give glory to God with the talents He has given them. Some of the most memorable testimonies this year were shared by new members of the Thursday Bible Study group; it has been really amazing to see how the Lord has bonded and grown the individuals and group as a whole in recent past months. 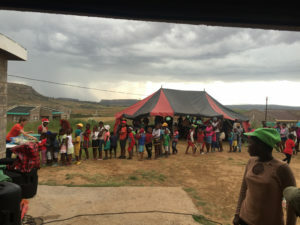 Heavy rain came toward the end of the event, but the DJ couldn’t be stopped and the kids continued dancing in the tent as we gratefully wound down another year in which God faithfully led, protected, and provided for our community. Our opening event of 2017 was the Saturday Youth Program on January 14th. After a three week break over the holidays it was good to be together again and there is a sense of excitement as we kick off a new year. Another boost in the LXP Youth family has come from the new group which has started meeting in a village about 5km away from us in HaBelo. A young woman from HaBelo who became a big part of our youth leadership team in 2016 has started meeting with the kids and youth from her village every Saturday. The group in HaBelo is so excited about what God is doing in their community and we support each other by visiting once a month. To maintain unity we have also developed a teaching curriculum to be followed by both Saturday groups until the youth camp in April. The focus for the next 10 weeks will be the spiritual disciplines of studying and applying God’s word, prayer, and fasting. In addition to the re-opening of the Saturday Program and Worship Team, we ask for your prayer support as we walk personal journeys of discipleship with our youth. January is a time of transition as a new school year begins and those who finished 12th Grade the previous year receive their final grades which determine their chances of being admitted for higher education and they are forced to make decisions about their future. It is an exciting time for some and a bitterly disappointing time for others. The small shop we opened in town in October is continuing to do well. The young man who was working there first has passed the baton to another one of our youth leaders who is planning to apply to university later this year. She is an excellent employee and we are thankful for the opportunity to invest in her life. We are thankful that slowly but surely we have been able to expand the products we sell, improve the appearance of the shop, and are beginning to see small monthly profits. 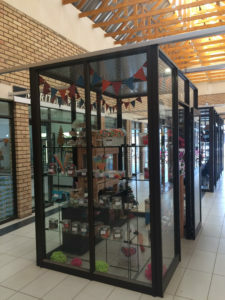 The amount of time the shop requires from us is a bit more than we anticipated because the stock must be purchased in Johannesburg which is four and a half hours away and the day to day operations still need an amount of overseeing. However, it is encouraging that we were able to take a week out of town as a family and the shop operated successfully during that time. Our delightful daughter is fifteen months old and continues to be a source of immeasurable joy in our family. She is healthy and growing quickly and we are so thankful for the Lord’s protection over her. Some of her favorite things are going “bye-bye” in the car, helping Mama around the house, playing with her cousins, and time with Daddy. She says a few words, some of her favorites being shoes, Mama, Daddy, baby, mouth, and ball. She is able to express herself very clearly by nodding “yes” and shaking her head “no”, but the trick for now is figuring out what exactly she passionately wants or does not want. 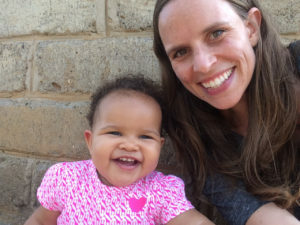 Her loving and compassionate heart is becoming more and more evident as she interacts with people and plays with the kids on Saturdays, and she can barely stand to say goodbye when anyone leaves after visiting our home.